Dr. Michelle Acorn is the Primary Health Care Nurse Practitioner Global Health Program Lead. She also is the Lead for both the Primary Health Care & Adult Exam Prep Courses and Excelling in Care of the Older Adult courses. Michelle is the Lead Teacher for NUR 1110 NP Roles & Responsibilities at the University of Toronto. Michelle Acorn holds dual Extended Class specialty certifications as a Primary Health Care and Adult Nurse Practitioner, possesses Canadian Nursing Certifications in both Emergency and Gerontology, and is a Certified Geriatric and Anticoagulation prescriber. Michelle is an NP at Lakeridge Health Hospital functioning as Most Responsible Practitioner. Michelle has been awarded the Gerow NP Leadership Award, Awards of Excellence in Preceptoring, and the Fleming Alumni of Distinction. She was also a Queen’s Silver Jubilee Nominee & Premier’s Outstanding Graduate Award Nominee. Michelle Co-chairs the Central East LHIN Health Professions Advisory Council. She also co-chaired the RNAO/NPAO NP Hospital Toolkit/Expert Group & RNAO Best Practice Guideline Revisions for Dementia, Delirium and Depression. 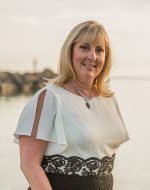 Michelle completed her Doctorate of Nurse Practitioner/Nursing Practice in 2014 with a focus on NPs as the Most Responsible Provider in Ontario Hospitals and has published Internationally.